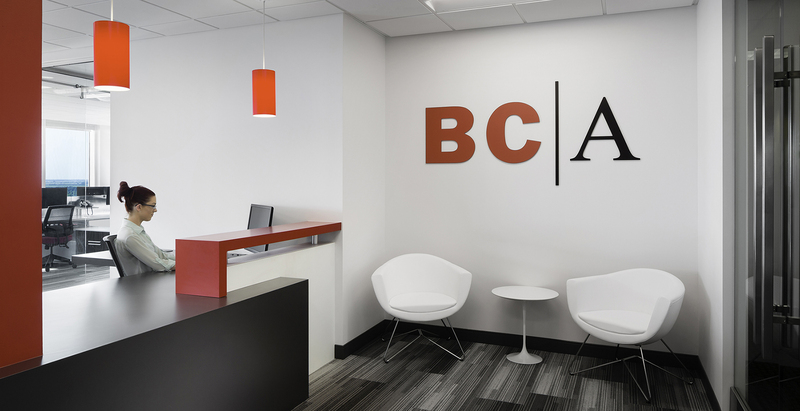 The BCA Sacramento Office is the culmination of many years of thought and conceptualization when it came to the creation of a new, modern workplace environment for architects. 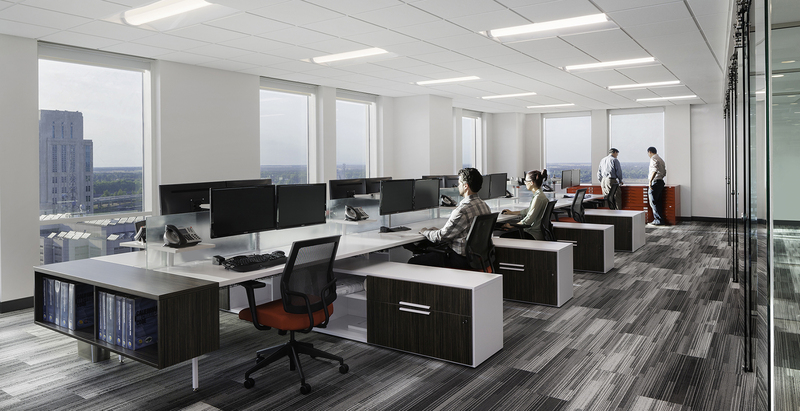 This space features a truly “open” office, maximizing the views from the 20th floor of the Park Tower Building located at 980 9th Street in downtown Sacramento, and also maximizes collaboration amongst BCA staff. 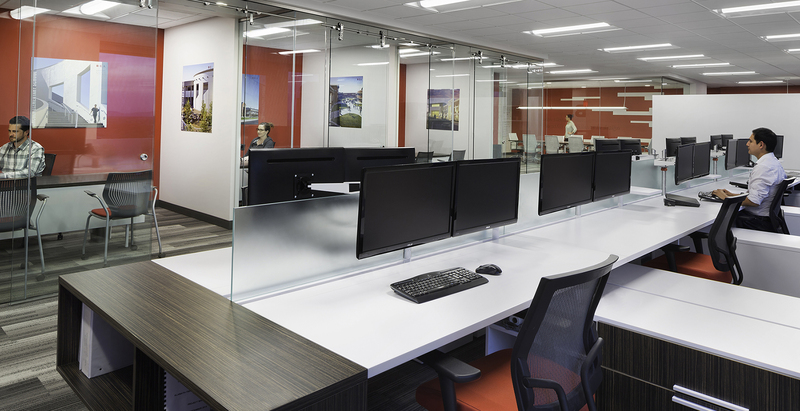 The design includes extensive use of glazing and sliding glass “barn doors” for the conference room and offices, workstations using “benching” style furniture and a “phone booth” area for private calls. The space is balanced with areas for working, collaborating and socializing and features a color palette that is uniquely BCA.